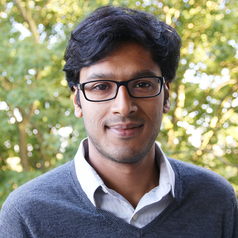 Bharath completed his PhD in 2017, focusing on the ethics, politics, and multiculturalism in hip-hop culture. He has also worked on anti-Muslim hate and extremism studies for over four years in a professional capacity. His current interests are in governance, digital culture, and social and political geographies of the Internet. Ganesh, B. (2016). The geography of anti-Muslim hatred. London: Tell MAMA. (http://tellmamauk.org/wp-content/uploads/pdf/tell_mama_2015_annual_report.pdf). Ganesh, B. (2015). The Prevent Duty and its government-centred context. Public Spirit (October 2015, http://www.publicspirit.org.uk/the-prevent-duty-and-its-government-centred-context/).